Serving the industry since 1976, Seabee utilizes the latest technology, materials, manufacturing processes, computer-aided design, quality inspection and engineering techniques. Seabee is a specialist in the design and manufacture of custom hydraulic cylinders, and offers a full service cast steel foundry as well as a state-of-the-art chrome plating facility. Seabee serves the largest equipment manufacturers in the world by offering 2" to 30" bore hydraulic cylinders, pressure ratings up to 10,000 PSI, and strokes to 35' on single-stage applications. All hydraulic cylinders are designed to meet the customer's specific application and 100% tested before shipping. 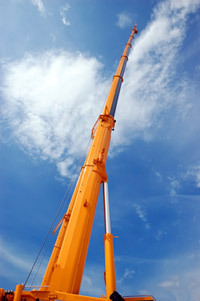 Seabee offers custom-engineered hydraulic cylinder solutions for construction, forestry, agricultural equipment, material handling, defense, truck cranes, energy and other diverse applications.